Electric transportation is becoming bigger and bigger. More and more people are opting for an electric car, scooter or bicycle. This should come as no surprise, because the environmental and financial benefits are huge. 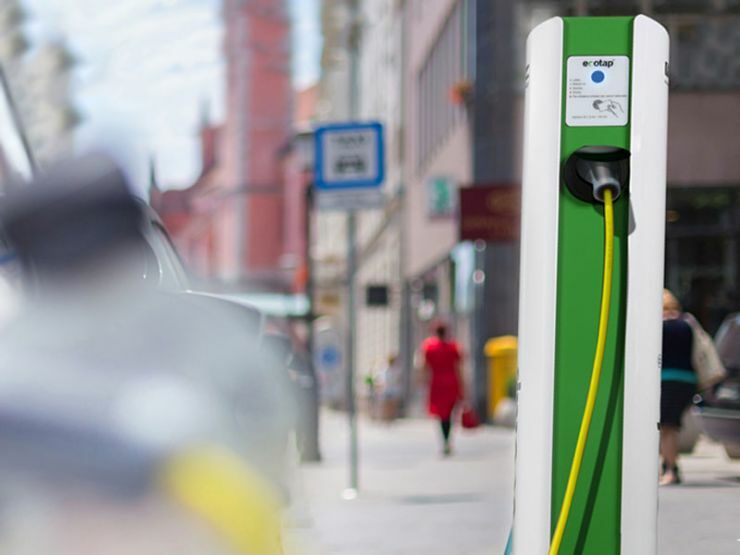 The number of electric charging stations in the Netherlands has increased as well, and this particular development will intensify in the future. The Ecotap chargers avoid any unnecessary burdens on the environment. They are extremely efficient and provide clean mobility by bicycle, scooter, mobility scooter and/or car. The car charger communicates with the car and can tailor the appropriate maximum charge to the car in question. 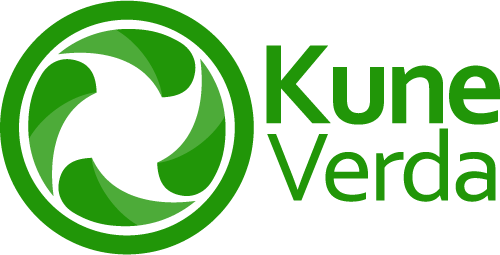 KuneVerda is Ecotap dealer and provides the optimal integration of Ecotap products with your solar-panels, local storage and other sustainable solutions. Ecotap products are extremely recognizable, thanks to their colour (a lovely green), the design (less is more) and the presentation (ease of use, resistant to vandalism). 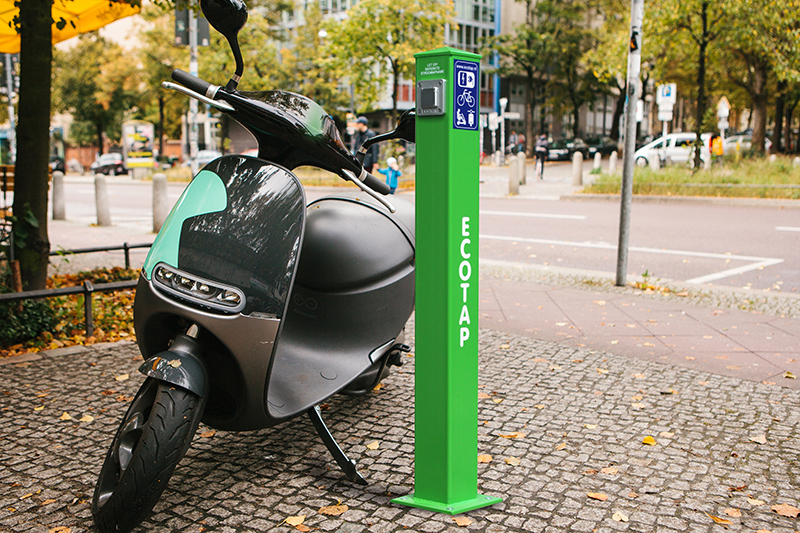 For bicycles, scooters and mobility scooters, Ecotap features the following models: type Z, SL and WL. For cars; type SLA_K, homebox and flex homebox. Ecotap products are remarkably well priced, for the purpose of smooth market penetration. The chosen design is not only beautiful, but also leads to efficiency during assembly, storage and transport. One type of charging station uses solar power, whereas with others only the user (the driver) has to pay a small contribution based on usage. Maintenance is almost entirely unnecessary. Because the charging stations are vandal proof, replacement costs are almost entirely avoided. By default, Ecotap offers a 1-year warranty on its products. If so desired, products can be finished in the client’s own style and/or colour. Two cars can be charged at the same time. The start/stop procedure is by means of a charge card / chargekey. This chargingstation communicates with the car. When all safety regulations have been checked, the maximum allowable charging current is passed on. This charging station is designed to safely charge bicycles, scooters and mobility scooters. The SL charging station, by default, features 2 sockets for safely charging bicycles, scooters and mobility scooters. Of course, this charging station is completely vandal proof. Features current limiting & a ground fault current interrupter with a fully automatic reset.